Chicago - Today we are watching various elected officials questioning Fed Chair Janet Yellen's actions, including their concerns about the impact of low energy prices on manufacturing, transportation, and oil business/jobs related to U.S. domestic oil production. What is funny about these elected officials queries, is their responsibility for unleashing a "lower oil price for longer" attack on America from world oil producers - triggering an oil, stock, and bond market meltdown. Through their legislative actions in the last two decades, Congress is effectively responsible for the 2008 Great Recession ($6 trillion plus cost) and the $2 trillion cost of national treasure on wars and nation building. In December, they repealed the Crude Oil Export Ban. So now Congress asks how can the Fed help? While you were busy with year-end holiday shopping, were your elected Representatives, Senators and President unknowingly launching a domestic sneak attack on the energy costs of U.S. businesses and people? The holidays are infamous for unpopular legislation that undermines people and/or businesses for the benefit of a few large donors, your elected officials, economic theories, and the rest of the world. Did it happen once again? Is this another Glass-Steagall type repeal? Or like the Wall Street coup that allowed bond issuers to pay rating agencies for better ratings? That's what some folks say about about repealing the U.S. Crude Oil Export Ban - signed into law by President Obama on December 18, 2015. While we, ENRAM, ultimately benefit from the repeal, due to higher long-term energy prices, American energy costs may rise for some industries and all consumers. Secondly, the economic impact may seem irrelevant today, but energy demand keeps growing, and after the expected near-term oil price washout, U.S. oil-related bond failures and bankruptcies - perhaps unwittingly triggered by lifting the export ban that threatens OPEC market share - global and U.S. energy costs will rise again. Better plan for that outcome whether in a few months or years. The longer the lower price environment, the higher the price spikes and volatility ultimately expected, as investment in new oil production is curtailed to the point of wider gaps between demand and supply. ENRAM forecasts benefits from trading energy volatility, long-term energy conservation consulting, energy alternatives, and higher natural gas prices. So the outlook is not all bad for everyone. Coal may even have one last gasp. What long-term fallouts are predicted by lifting the 1975 U.S. Crude Oil Export Ban? To name a few - negatively reversing long-term U.S. GDP and worse national debt now at $18 trillion and counting; manufacturing costs rising in U.S. chemicals, refining and products; transportation fuels rising to world levels; home and business utilities' costs rising like natural gas, electricity and heating oil; import volumes ultimately rising even faster than today as the remaining U.S. resources get exploited out to other countries; and thus, less U.S. economic and national security as manufacturing loses a key advantage versus the rest of the world - low energy costs. However, it is even more complicated than that. Elected officials need more money than ever to get re-elected to office, and most will do almost anything to get that money, including unknowingly hurting America's future economic and national security. What is more concerning, is their rationalizing away or ignorance to the consequences of their actions. While we can handle either outcome, elected officials should have more carefully considered the long-term economics of lifting the 1975 Crude Oil Export Ban before acting. Read on for a more in-depth discussion of arguments for lifting the oil export ban, the history of the oil export ban, and Middle East considerations. Recently, we heard calls for lifting the crude oil export ban: to help our European trading partners; to offset Russia's stranglehold on European energy cost; to reduce our U.S. trade imbalance; to lower world crude oil prices; for "free trade/capitalism"; to avoid the collapse of the U.S. shale boom; and because gasoline prices are based on Brent - a European crude oil produced in the North Sea near the U.K. While some or part of all these reasons may be worthy considerations, some folks think U.S. leaders should have had just one question - "What is the impact on the long-term U.S. economic and national security?" The original crude oil export ban came about when the U.S. became a massive crude oil importer from the rest of the world, and some pretty dangerous places - requiring significant involvement in the Middle East. Was that federal ban important to our economic security then? Yes. Later, imports decreased as Alaskan oil production grew, then increased with declines in U.S. production, increases in U.S. demand, but tempered by energy efficiency and conservation gains. Today, with the shale oil boom, once again, imports are decreasing, but remain more than 50 percent higher than total imports in 1975, when the Crude Oil Export Ban was signed into law to reduce imports, providing a better trade balance (net import/export balance), and less trade deficits - increased by net import balances. Thus, the problem could be worse today, than in the mid 1970s - a now greater threat to the economic security of our manufacturers, consumers and workers. Some see a reverse impact on U.S. GDP. 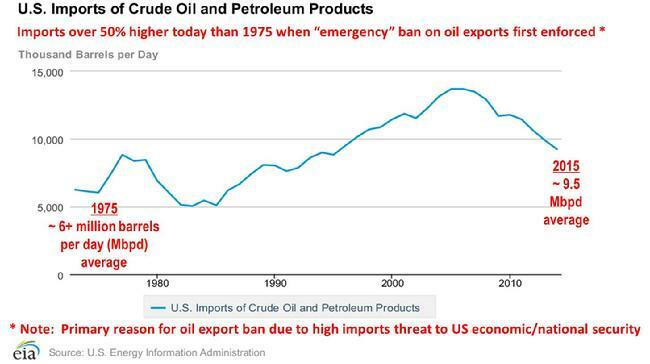 So why the debate around lifting the oil export ban with imports and trade imbalances higher than in 1975? 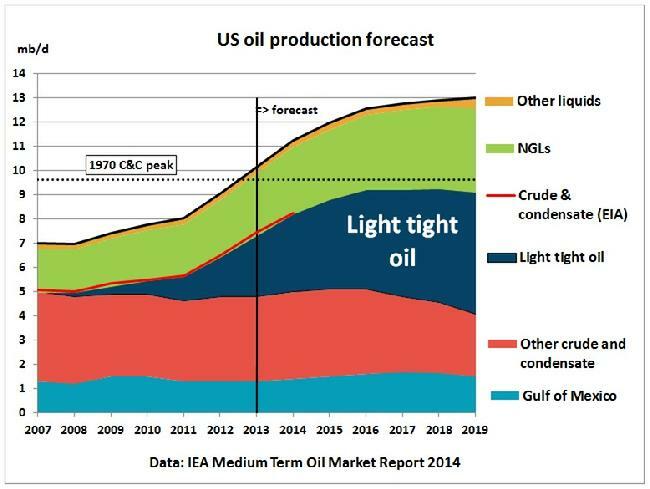 U.S. producers think it will raise short-term prices for their shale oil - where they need it. They could not be more wrong on this one theory. Likely in the longer term, but not the forseeable future. Even with the oil export ban, the Middle East unpaid war bill is over $2 trillion, and still counting. While many say oil was not the reason for that “investment” in the Middle East (ME), no one can deny the need for U.S. involvement in the ME due to oil. Even beloved oilman Boone Pickens thinks we need to invest in home-grown U.S. energy and reduce reliance on ME crude oil. Finally, despite the steep costs in treasure and blood, the U.S. remains a scapegoat for all things bad in the ME, even by our "friends". Our U.S. Military defends the oil import routes, and will defend the oil export routes - essentially paid for by Americans, or more likely, indebted to Americans as an add-on to the U.S. debt burden - now $18 trillion. Real costs often not considered. Read on for a more in-depth discussion of free markets, the trade deficit, reckless shale oil hubris, the Saudi/OPEC strategy, and U.S. manufacturing. The stage may be set for imports to ultimately begin rising again. Free market issue. Contrary to what you might expect from a free marketer, the crude oil export ban helped the U.S. economy in some ways. From purely a U.S. economic and national security perspective, some free market capitalist arguments for lifting the export ban go right out the window. Hold back the gut reaction, as we need to explore just what benefits the so-called experts see by lifting the export ban. Trade deficit impact. Lifting the crude oil export ban reduces the net trade deficit (imbalance of imports versus exports) - a good thing. However, U.S. energy costs may actually increase to more than offset those benefits. U.S. shale oil exports will move shale oil from local pricing to the higher world pricing, raising all crude oil prices for U.S. refinery inputs, as well as refinery outputs (gasoline, jet fuel, diesel fuel, and other refined products used by consumers, commercial transportation, and other industrial uses). Shale oil - also called tight oil - has required significant investment by non-major oil producers, putting intense economic pressure on their owners, leaders and bankers. Getting a higher world price for tight oil is one of their goals naturally; however, they may end up with an even lower price due to Saudi Arabia's market share defensive strategy of producing more oil at lower prices. The Saudis executed a similar strategy beginning in the mid 1980s that lasted well over ten years. They may be less capable of a similar strategy duration today, but do the tight oil producers really want to test their resolve to the point of bankruptcy? A wiser national strategy might be a slower production build up with more U.S. investment in tight oil refining capabilities and shorter, more reliable supply chains. Read on to learn more information about U.S. manufacturing costs, over-export worries, national and economic security concerns. 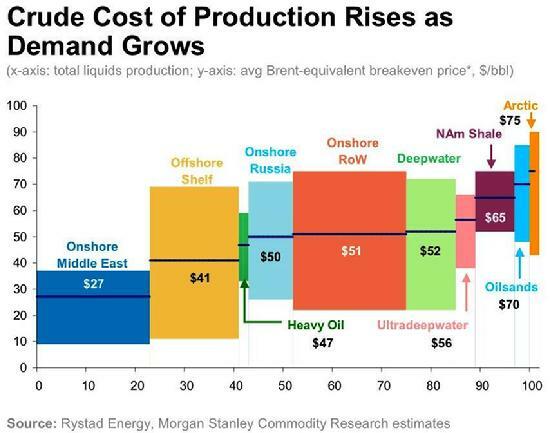 Some shale oil now has production costs in $20-$30/bbl range, but most averages nearly twice that. If all energy related costs go up, then the U.S. loses one of the last advantages versus the rest of the world - low energy costs. More information is needed, but current U.S. manufacturing margins are strong, and U.S. prices at the pump attractively low, providing economic power to U.S. companies and people - the wheelhouse of American capitalism - so some may ask "Why are any changes required in this low-cost U.S. energy environment?" U.S. Manufacturers thrive in this current environment. Manufacturing is returning to North America. Regional manufacturing and consumption is the current Supply Chain Management mantra for good economic reasons - shorter supply chains, lower risks of weather/timing delays, lower transportation/fuel costs, and lower inventory holding costs. U.S. manufacturers have concerns about rising energy costs if the Crude Oil Export Ban is lifted, similar to the recent LNG (Liquified Natural Gas) export plans. Higher crude oil prices means higher energy costs across all fuels - especially natural gas. A recent, similar situation in natural gas exports - where licenses are granted to individual exporters - caused Dow Chemical to drop out of the National Association of Manufacturers (NAM) over the lobbying group's lack of a "neutral" stance on unrestricted overseas sales of natural gas - a major chemical manufacturing cost (source: Greenwire, Jan. 22, 2013). Surprising since NAM's mission was "working on behalf of manufacturers in America to advance policies that help manufacturers do what they do best: create economic strength and jobs" (source: NAM website in 2014). Over-export concerns. At least the large investment requirement for natural gas export infrastructure, and the granting of individual export licenses, are significant controls on over-exporting U.S. natural gas to the point of driving up energy costs for U.S. industry and consumers. However, the proposed lifting of the Crude Oil Export Ban has no such provisions to prevent the U.S. from remaining a net crude oil importer forever - not energy independent, but subject to much higher long-term energy prices for consumer, commercial and industrial users. Inflation may rise, manufacturing plants may close, and high-paying middle class jobs may be lost. These economic considerations demand any leader's attention, especially if gasoline prices rise to international levels - in some cases two to three times the current U.S. price per gallon. How can people blame just the oil companies - a grand old tradition in America even though we have the lowest world prices by far - when their elected officials are the ones who lifted the Crude Oil Export Ban? Tarring and feathering may be the least worry in the aftermath. In summary, our leaders should have considered the aforementioned issues carefully before lifting the Oil Export Ban - for national and economic security reasons, but more importantly for them, their own political futures. Once "the cat is out of the bag", then the real long-term economic impacts may be difficult to reverse, or worse, explain to American voters. Read on to learn more on refinery input costs, makeup of U.S. oil production, U.S. resources for U.S., Milton Friedman, GDP, jobs, and investing in our future. Analytically, this was our perspective as to why the U.S. Crude Oil Export Ban should not have been lifted. We are hired for our independent analysis and recommendations. We provide our best assessment of the facts and risks before our clients. We challenge and welcome anyone to provide better evidence to the contrary - other than how money into politicians' pockets guaranteed lifting the Crude Oil Export Ban. We seek no economic benefit from our perspective - more likely hurting our consulting and investing prospects with energy producers and sellers. In the longer term we benefit from lifting the export ban for aforementioned reasons. Institutions, governments, manufacturers, investors, and businesses looking for supply chain savings, appreciate our work in this area. In the event the ban was lifted, we planned to adjust to the circumstances on the ground. However, at this time, greater investment risk exists with the lifting of the Crude Oil Export Ban. With the ban lifted, the forecasted results should play out just as we discuss here. U.S. refining companies Valero, Marathon (the refiner/marketer), and Phillips66 (the refiner/marketer) all should prefer to protect their U.S. refineries from higher crude oil prices and lower margins. Valero is the most vocal about not lifting the Oil Export Ban, but shareholders should hear more from CEOs of the other refiner/marketers in defense of their U.S. bottom lines. Marathon and Phillips spun out their refining and marketing from their crude oil exploration and production counterparts to unlock shareholder value - the main goal of the spin-offs...right? Other U.S. refiner/marketers needed to express their positions before debate was closed and actions taken, because lifting the oil export ban will be difficult to put back into the "genie bottle". The repealed U.S. Crude Oil Export Ban granted individual waivers. Within the provisions, not only was crude oil export licenses granted in various circumstances to individual companies. However, an integrated production/refining company can still exchange U.S.-produced oil for foreign oil of a more aligned specification for their U.S. refinery kit on the ground - as done at one time with Alaskan sour crude oil exchanged for sweet crude oil run in U.S. refineries. Those are just two ways around the export-only approach. A barrel-for-barrel exchange (no net trade balance impact) avoids a possible net economic loss to the U.S. A recent example has Mexican heavy oil in exchange for U.S. light shale oil. Others argue for using our U.S. crude oil resources in our own refineries, keeping those refineries competitive, innovative, open and expanding. That attracts billions of private U.S. dollar capital investments (and more U.S. GDP) in refineries to keep them efficiently running, or to convert them to run more light shale oil. The current refineries and future investments provide thousands of high-paying manufacturing jobs, contracts to American companies, and people who design, build, supply and run the refineries. High-paid manufacturing jobs provide more consumer spending – the cornerstone of the U.S. economic system. Other arguments for keeping the export ban were providing competition to other world refiners, and reducing refined product prices to U.S. commercial/industrial businesses and consumers. Since U.S. refined products manufactured in the U.S. can be exported, these represent higher value finished goods exports to the rest of the world. The U.S. GDP (Gross Domestic Product) includes the higher valued U.S. produced goods versus the lower valued crude oil - a raw material., reducing our trade imbalance (net imports balance over exports). We import more than we export by billions of dollars each month, but no Presidential candidate rationally talks about that situation, nor our $18 trillion debt balance that keeps growing. Competition, innovation and profit are essential for free markets according to Milton Friedman. However, he might not favor a crude export ban either, even if it saved the U.S. from economic ruin. How would he feel during a war – a political or economic war for survival? The right answer is often in a gray area between the black and white of most pundits, experts and economists. Funny how the supposed "free markets' think tanks say that U.S. gasoline prices are set on Brent crude oil, produced in Europe. U.S. gasoline prices are based on the U.S. gasoline market - even Milton would know that. Under certain market conditions, maybe Mr. Friedman would consider the export ban practical? Probably not, but might he say that allowing exports into the world market invites competition, lowering the world price? Others think those lower prices would help every other country, but ours - hurting the U.S. energy cost advantage. The Saudis were already raising their output, and reducing their price to maintain market share, in response to the threat. OPEC was holding production steady since last year. Such actions, in direct response to possible U.S. crude oil exports, may actually lower U.S. shale oil prices below the capital-attracting threshold. Read on to learn more about refinery closures, national/economic security, what China might do, shorter supply chains, Teddy Roosevelt, and what we should consider. U.S. shale oil production over about 8.5 million barrels per day (MBPD) may bring even lower prices, cash flow problems, and bankruptcy to shale oil producers. Recent U.S. shale oil producer hubris regarding their steady production in spite of the Saudi actions, will only extend the Saudi high production/low price program timeline, and the financial pain for U.S. shale oil industry. The Saudis have the lowest production cost in the world, aided by bankers (and hopefully not some of our own banks) providing credit to finance the Saudi government programs and military needs. The Saudis can go on for 2-3 years, or more, as needed to crush any competition to their market share. So both sides can be argued here - Crude prices would be lower for a while (and free marketers will highlight this) until U.S. refineries begin closing. U.S. Refinery Closures. Lifting the crude oil export ban may also cause some companies to close refineries in the U.S. rather than invest in them; to invest in new foreign refineries; to export U.S. crude oil to those new refineries (as inputs); and to import refined products from those foreign refineries (as outputs) to the U.S. market at a higher price to commercial and retail customers. A risk considering the greater uncertainty about future shale production versus conventional reserves; and uncertainty that refinery capacity expansion, to run more shale oil, is somehow finite. 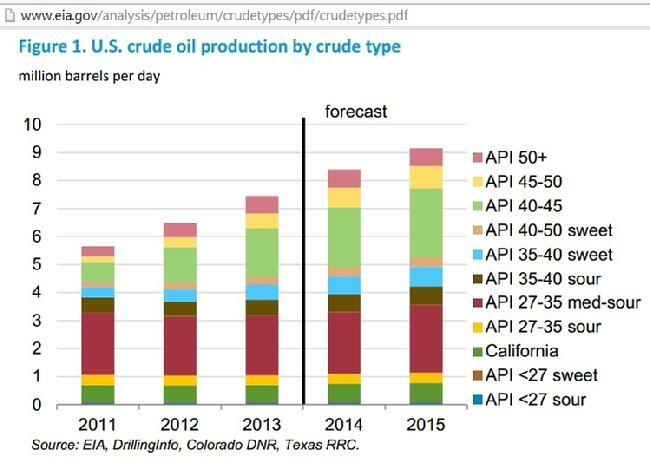 U.S. refiners are already making investments to run more shale light oil. If the U.S. cannot produce all of its own refined products someday, then how competitive will the U.S. economy be versus the rest of the world? How secure will our military fuel supply and cost be? Higher cost fuel, lower wage jobs, and less competitive businesses are negatives for a healthy U.S. economy, according to some economists, regardless of what we believe for our own benefit, or are told by others for their own benefit. A real possibility or just fear mongering? More analysis is required. However, the U.S. Military does not want higher fuel costs at home either, and many ex military generals favor U.S. energy and economic security as the cornerstone to national security. Teddy Roosevelt felt that natural resources should be efficiently used to produce products; otherwise, it is wasteful - that countries who waste resources cannot be respected world powers (paraphrased). Some experts express concern over becoming an exploited country like Argentina or Chile, for example, where foreign companies extracted their resources for economic gain, at the country's economic loss (The Shock Doctrine by Naomi Klein). While hard to envision, can such a predicament be outright dismissed for the U.S. - if we allow exports of any and all resources to highest priced market, anywhere, including our enemies? Maybe feasible, but strictly from a U.S. economic security perspective, the U.S. citizens would not allow it, or would end it should something go terribly wrong - a very low probability event - today. Do you think China would allow a regulation to be lifted if it provided economic security for them? Are low energy costs good for business? Some say the U.S. economic security should be a top priority of U.S. business, so business can benefit from U.S. consumer spending power resulting from low cost manufacturing, low priced energy, and higher paying jobs. Today, U.S. citizens seem surprised to learn that we currently enjoy the most competitive energy prices for industrial, commercial and retail customers in the world – in some cases half price the rest of the world. The U.S. is a large manufacturing economy, but most people think we make nothing here. U.S. GDP per capita is four times larger than China, with a growing educated workforce, and flattening lower/middle management costs - some business friendly pillars for investment in America, one would think. Low cost energy, high technology, high productivity, and high consumer spending are not bad things in the U.S. Long supply chains from far away places have taught many executives about risks of higher energy, inventory holding, scheduling, and quality costs. A resurgence of manufacturing is at hand in the U.S. Perhaps leaders should carefully weigh all economic impacts of the export ban before making a difficult-to-reverse decision. In summary, the U.S. crude oil export ban, with existing provisions may preserve competitiveness, low cost/higher margin manufacturing, low priced energy, higher consumer spending, and a stronger U.S. economy. Our business will adapt either way - whether we have or lift the ban. However, we sure would not invest expecting the oil export ban lifting any time soon. Do you think China would allow a regulation to be lifted if it provided economic security for them? Some arguments exist for a go-slow approach, using barrel-for-barrel exchanges, granting individual licenses, and other options within the existing crude oil export ban, to assure long-term U.S. economic security is a high probability outcome. However, more research is needed to properly assess all options. So lets again, be smart about the economic realities on the ground - for America's economic sake. Take time to fully understand all the issues before literally pulling the trigger - making sure it's not pointed at our collective foot, again. According to U.S. manufacturers, more information is needed about the benefits of lifting the crude oil export ban - in terms of economic security for America, by assuring the aforementioned economic negatives cannot happen. A strong U.S. economy helps the world economy - demonstrated again just recently. We need certainty, or speculation may cause commercial confusion and lack of investment. Certainty encourages investment. For example, with certainty that the Crude Oil Export Ban remains, investments to add more light oil refining capabilities will follow. That said, with lower energy prices already in play, it becomes more difficult to justify that lifting the ban is better than the current situation, according to most industry with facilities and investments in the U.S., and the U.S. people who take the time to understand the issues in play. Finally, some folks say the need for a crude oil export ban is no longer valid in current times and markets - "a relic of the 70s". That has been said before, about other times and markets, resulting in repealing legislation designed in an emergency situation to prevent economic disasters from repeating themselves in the future. An example is the Glass-Steagall Act, approved after the Great Depression, and later repealed in the late 1990s due to "new times and different markets." Where did that get the U.S. in 2008? Too late regarding the aforementioned suggested actions and issues, because the decision was already made. The Oil Export Ban has been repealed and lifted. Let's watch how this situation plays out in the market, and how it impacts U.S. energy prices, the U.S. economy, and U.S. national security. Studies for and against crude oil exports - Please note you have to look beyond the vested interests in both studies. For example, the study against crude oil exports, advocates early on for keeping hydrocarbons in the ground for the world's sake, where economics might not allow. However, there is excellent analysis of the complexities of history, licenses, chemistry, refinery kits and geography - real, but not insurmountable issues for our industry which is amazingly capable to find solutions no matter what is thrown its way.